Cosimo I Medici’s motto was festina lente, in Latin; something like ‘more haste, less speed’. The Medicis were very careful, cautious people indeed: but a ‘think big’ would do as well, maybe even better!!! They ‘think big’ when it comes to gardens, buildings or even prisons. 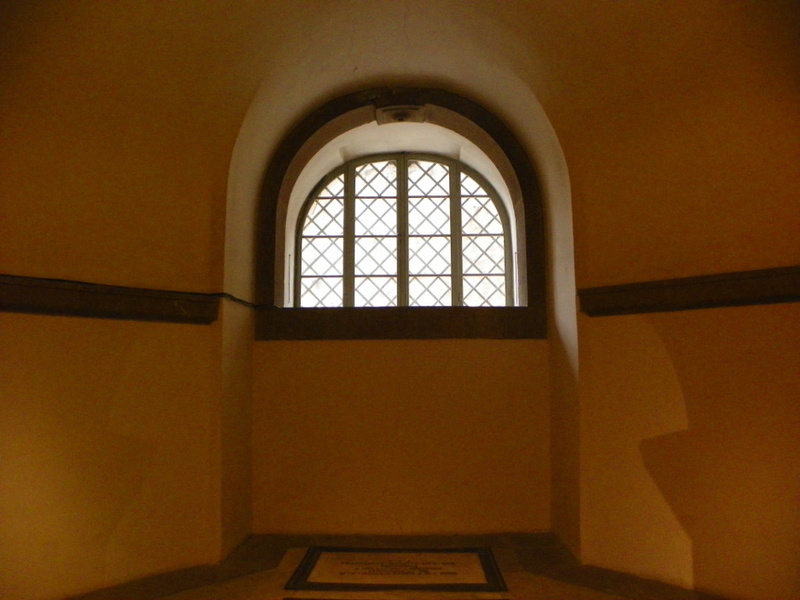 They think big when it comes to tombs as well… The Cappelle Medicee – Medicis’ Chapels – are another massive overhaul applied by the Medicis to a pre-existing building: in this case the Basilica di San Lorenzo church. 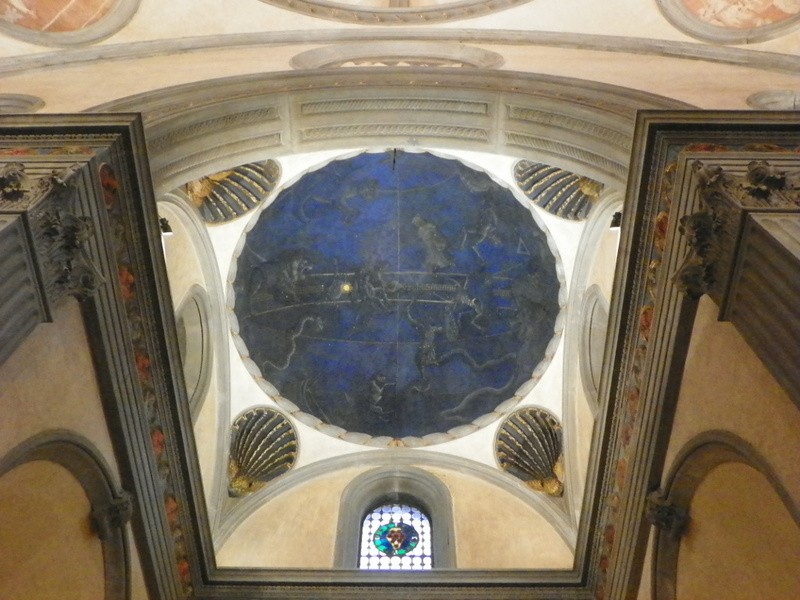 San Lorenzo has been the first Florence Cathedral for three centuries, before Santa Reparata and Santa Maria del Fiore. 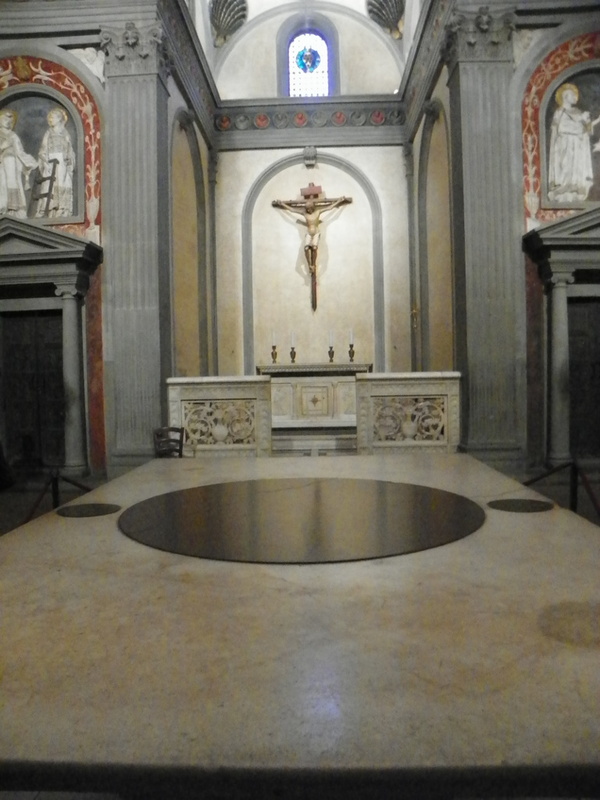 It is of course in the early XV Century that San Lorenzo becomes ‘the Medici’s church’. Cosimo de’ Medici’s ‘the elder’ father, Giovanni di Bicci de’ Medici, the first ‘tycoon’ of the family, generously funded the 1418-1421 expansion works. 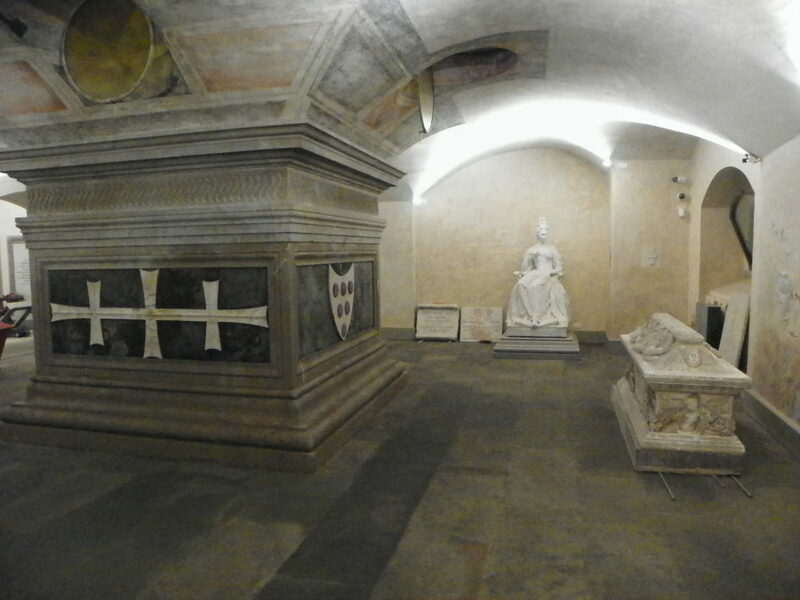 Cosimo continued the works and he actually became ‘part’ of San Lorenzo has he was buried in a monument which is in the crypt of the Basilica, exactly under the greater altar, to symbolise the importance of Cosimo as Florence cornerstone. 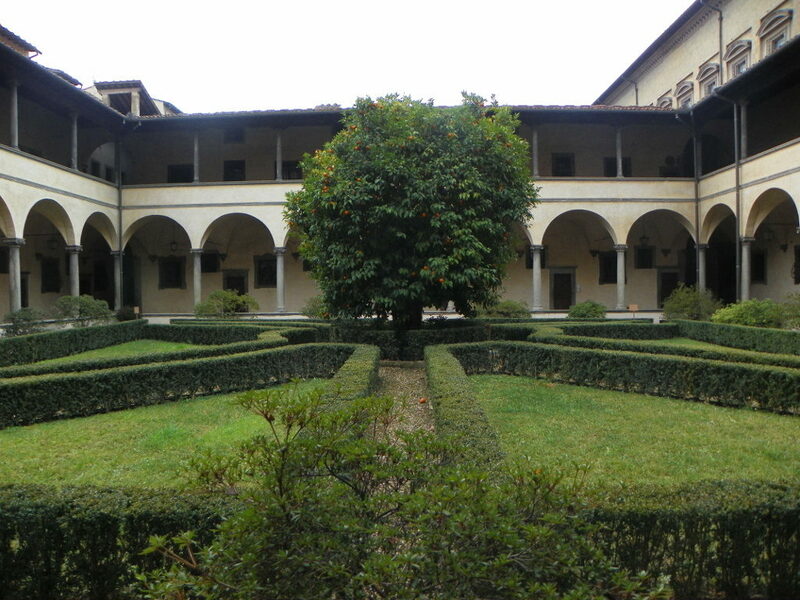 Since Cosimo, all the members of the family will be buried in San Lorenzo. At the beginning of the XVI Century the Medicis parable reaches its peak. 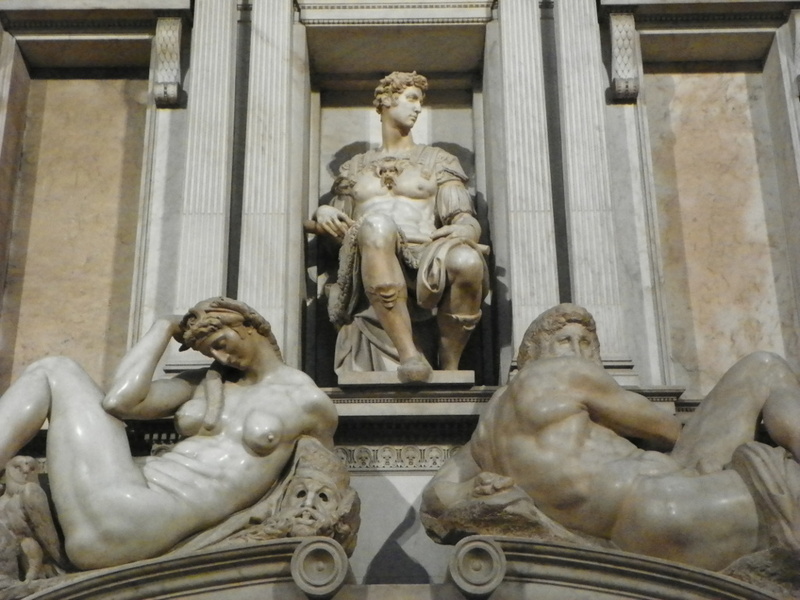 Michelangelo is the author of the Sagrestia Nuova (new sacristy) between 1521 and 1534. 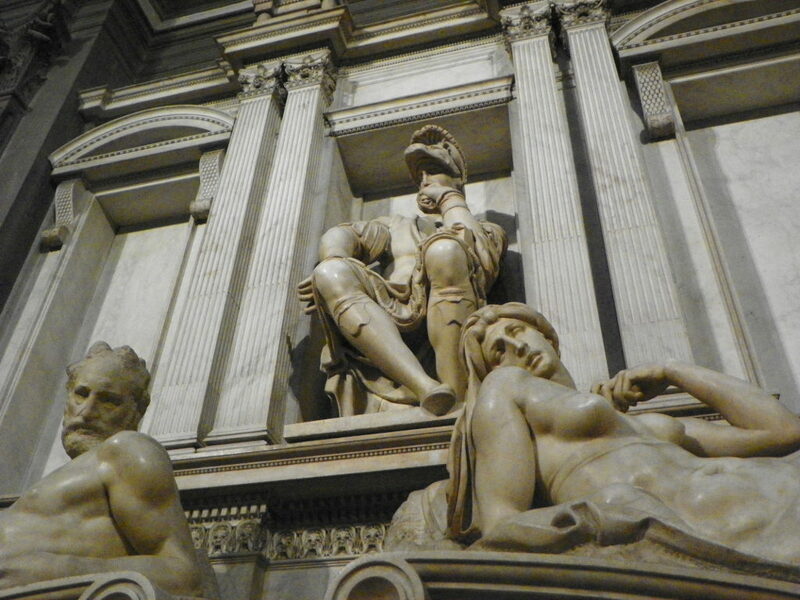 He works as an architect (but using a design very close to the Brunelleschi’s one for the old sacristy) and as a sculptor as well, for the cenotaphs for Giuliano de’ Medici and the Duke of Urbino Lorenzo de’ Medici. 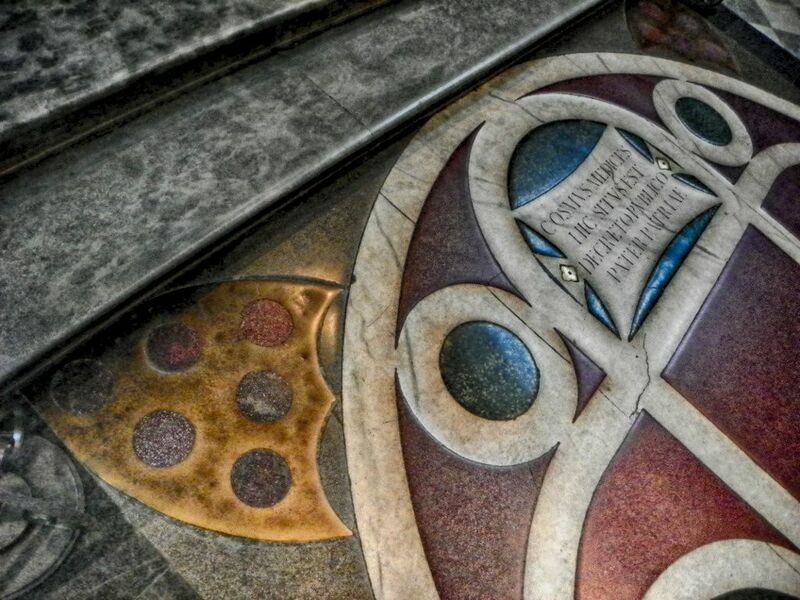 In the Sagrestia Nuova lay also the mortal remains of Lorenzo il Magnifico and his brother, Giuliano. 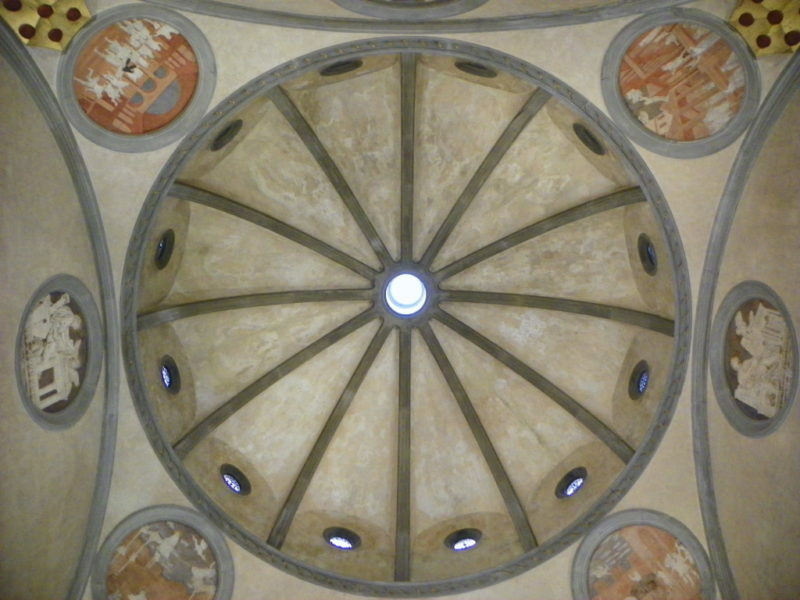 If the Michelangelo’s statues in the Sagrestia nuova are a masterpiece per se, architectonically speaking the most impressive feature of the San Lorenzo and Cappelle Medicee complex is the Cappella dei Principi, the second higher dome in Florence (after the Cathedral’s one). The Cappella was supposed to be the mausoleum of the family, but it is unfinished and – in facts – there are no corpses in it.